Gov. Bruce Rauner speaks at an event. Rauner received approval Monday for a state Medicaid waiver. Gov. 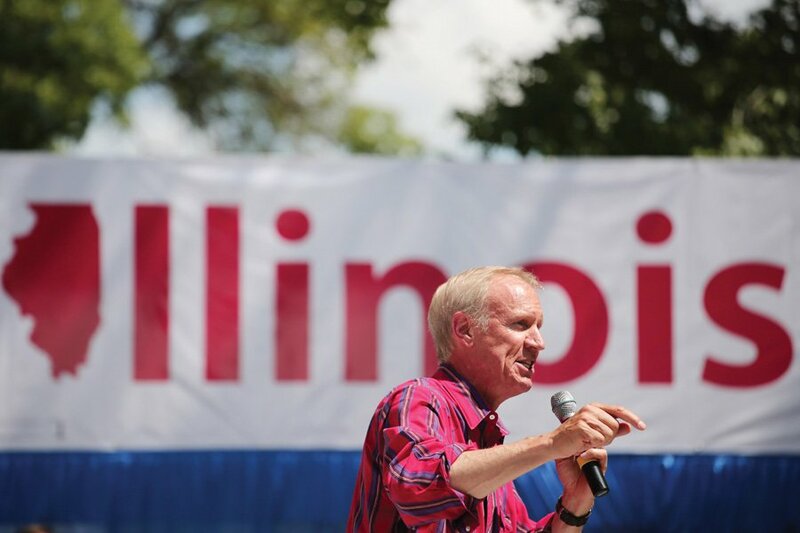 Bruce Rauner received federal approval Monday for a state Medicaid waiver that will allow service providers to offer more care for individuals suffering from mental health and substance abuse disorders. The Centers for Medicare and Medicaid Services approved the state’s application for a waiver, clearing the way for the state government to use $2 billion of federally allocated Medicaid funds more flexibly than what is typically allowed. Beginning July 1, the state can begin investing the federal funds in 10 new pilot projects that aim to improve patient experiences, including ones around mental health, violence, public safety and opioid abuse. The Better Care Illinois Behavioral Health Initiative comes after a multi-year Rauner administration effort to boost behavioral health services and combat the opioid crisis in the state. “This effort puts a strong new focus on prevention and public health; pays for value and outcomes rather than volume and services; makes evidence-based and data driven decisions; and moves individuals from institutions to community care, to keep them more closely connected with their families and communities,” Rauner said in a Monday statement. Rauner, who is running for reelection, said the waiver will allow Illinois to care for its most “vulnerable” residents by approaching health care holistically. According to the Rauner administration, more than 750,000 beneficiaries — 25 percent of Illinois’ Medicaid population — have behavioral health conditions and account for 52 percent of Medicaid spending. The Illinois Department of Healthcare and Family Services led the waiver application, and 13 state agencies participated in the development of the approved application, according to Rauner’s statement. HFS director Felicia Norwood said in the Monday statement that the state’s opioid crisis necessitates a “transformation” to find better ways to help residents. Rep. Tom Demmer (R-Dixon) said in the statement the waiver will allow the state government to expand behavioral health infrastructure. “I look forward to continuing to work with the administration and with local providers to build an even more robust network throughout the state,” Demmer said.